There are dozens of fine biotechnology experts on Seeking Alpha. These contributors can give you a deep dive analysis into the ins and outs of every clinical trial and twist and turn of regulatory decisions. But many biotech firms look promising at a given point in time and then fail spectacularly a month or a year later, so some investors prefer a fund or ETF. If so, your timing is propitious - the “Medicare for all” debate has thrown the entire health care sector into temporary chaos. I am not a biotechnology expert. I am just a commonsense investor who likes to buy sectors and industries when they are out of favor or taking a breather. I don’t like to overpay, and I am most allergic to taking losses! In areas I am not expert, I seek out others who are. I prefer active management from portfolio managers whose job it is 40-100 hours per week to stay abreast of all the events that might affect an industry like biotech. I am a curious sort, but there are areas where I would use data as a way to fall asleep on a sleepless night. I am delighted that there are others who tear into this stuff and actually can’t sleep because they find it so enthralling. ETFs that hew to a specially created index that allows the portfolio manager(s) to follow an index - but one of their own design. IBB kicked along, providing no net returns for the first 10 years of its existence. 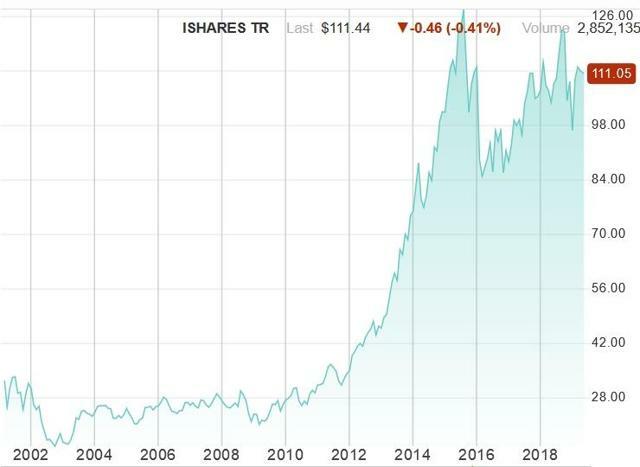 Then, at the end of 2011, the biotechnology sub-sector caught fire and IBB’s holdings enjoyed a parabolic rise for four straight years. It has not matched its highs of 2015 since. ... the Russell 2000 Small Cap Index was down 20.5%. Of course the beginning of 2019 looks good by comparison! 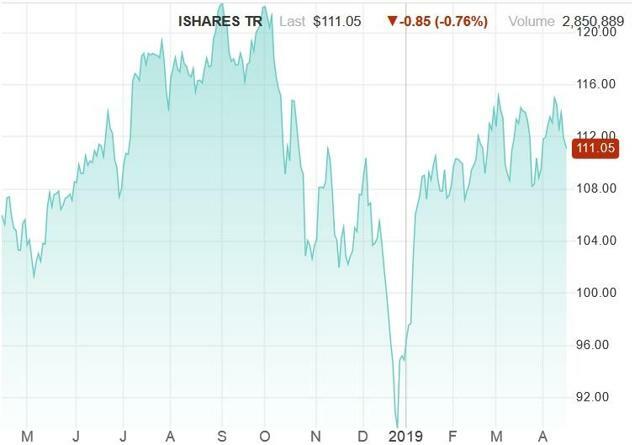 7.05% a year compounded is nothing to sneeze at - it will double your money in a shade over 10 years - but neither does it seem to me like a particularly great return for the level of risk you are asked to take in a fast-moving and volatile industry like biotech! That leaves just 48% to be spread among the remaining 210 holdings. The benefit of such concentration in the big names is that it is likely to raise investors’ comfort level because the names are readily recognized. The disadvantage is that outstanding performance of the smaller, and arguably hungrier, companies will probably have little effect on IBB share price. IBB is a Goliath. It is comfortable, it is highly liquid with much institutional ownership, it is big, it is a known quantity, and its performance is mostly dependent on the 10 big companies that comprise 52% of its 220 different holdings. 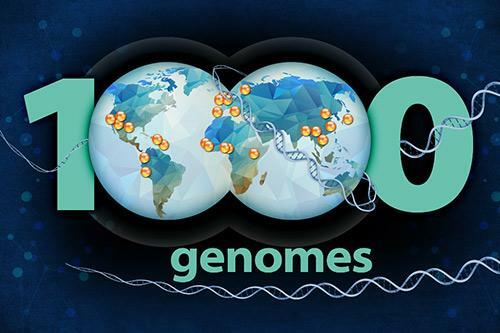 The Global X Genomics & Biotechnology ETF (GNOM) is so new that when I first wrote about it for my subscribers last week, I couldn’t even select it as one of my symbols - it simply wouldn’t come up in Seeking Alpha’s or most other sites’ database. This is not your father’s biotech firm. 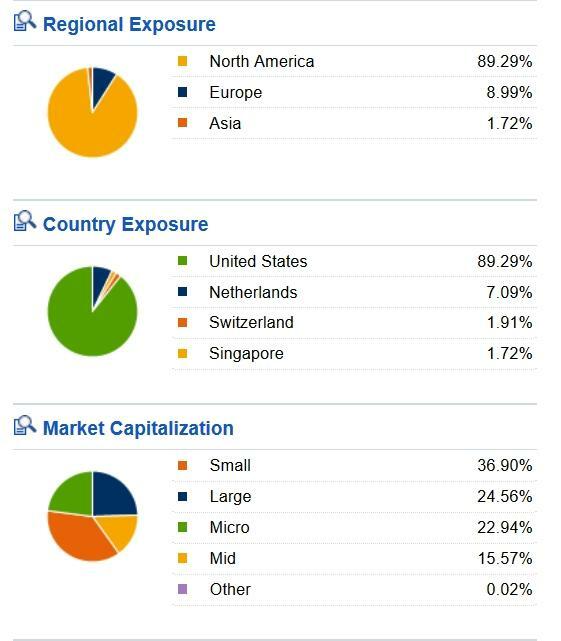 GNOM has chosen to occupy a narrower niche than IBB and some of its other competitors in the ETF space. The ETF plans to invest in companies that might well benefit from further advances in, specifically, gene editing, genomic sequencing, genetic medicine/therapy, and computational genomics, as well as to the larger biotechnology field. The fund’s universe of potential selections comes from the Solactive Genomics Index, which specifically tracks the companies that generate revenues from the genomics-related businesses noted in the paragraph above. That is no coincidence. A further piece of GNOM’s charter, as stated in its prospectus, is that selected companies must generate at least half of their revenue, operating income or assets from those five categories. IBB has a 0.47% expense ratio; GNOM, with far greater expenses per shareholder (like all ETFs and funds when first introduced), has held the line at an expense ratio of just 0.68%. GNOM has, for now at least, chosen to limit its holdings to just 40 companies. I like that. If an ETF is just buying a broad-based cap-weighted index, there is little discipline involved. When an ETF limits itself to 40 holdings, they had better be the best (in their opinion.) Sorry, #41, you just don’t make the favorites cut. 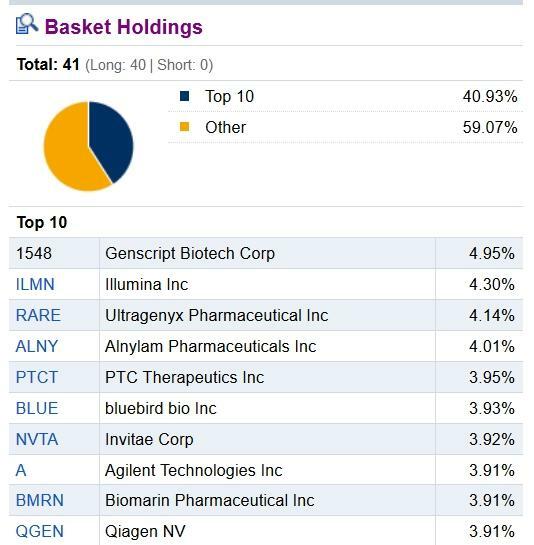 You will note that there is at least “some” overlap between IBB and GNOM in their respective top 10 holdings: Illumina (ILMN) and BioMarin Pharmaceutical (BMRN) are in both. 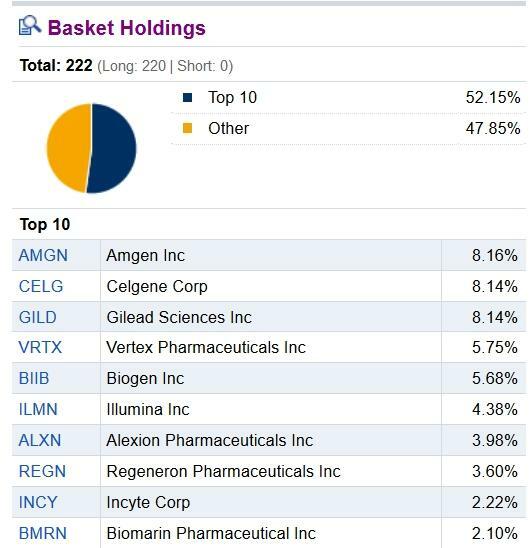 But you will also note that the Top 10 for GNOM account for a lower share of the total portfolio. Bringing a little more granularity to GNOM’s selection process, the company’s prospectus also states that this ETF can select its 40 holdings from stocks that meet size and liquidity requirements that are listed in 23 (mainly developed) countries. Further, the prospectus notes that individual holdings will then be weighted on a modified market capitalization approach to ensure it won’t become overly concentrated in some stocks! By not forcing itself to be tied solely to a US benchmark (like IBB is to the Nasdaq) and by studiously avoiding over-investment in only a few companies, you can see from the above that GNOM has given itself the ability to seek the best globally and has allowed itself the ability to have a greater share of mid-cap, small-cap and micro-cap as long as management believes that is where the best opportunities reside. The bottom line on GNOM for me? This ETF is (considerably) smaller than its competition. It is more speculative in that it is as yet untested. It is seemingly more nimble than the competition. David, too, was smaller than the competition, was untested, and was also more nimble when he slew the champion of the Philistines with just his sling and one of the five smooth stones he had in his shepherd’s bag. Dare to dream, GNOM, dare to dream! Next month the price of a subscription to The Investor's Edge will rise to $40 per month. If you subscribe now, you can lock in the current $29/month price *and* receive an additional 5% discount. This is a limited time offer, so act today! Disclosure: I/we have no positions in any stocks mentioned, but may initiate a long position in GNOM over the next 72 hours. I wrote this article myself, and it expresses my own opinions. I am not receiving compensation for it (other than from Seeking Alpha). I have no business relationship with any company whose stock is mentioned in this article.